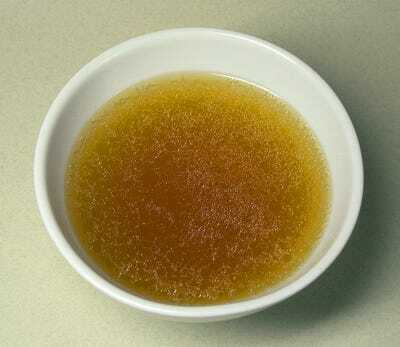 Wikimedia CommonsHere’s some beef broth. Drink it up! Goop is into it. Quartz is into it. There’s an instagram hashtag. New York City has recently acquired a “take-out window for sippable broths.” A small coffee cup full of bone broth costs $US4. 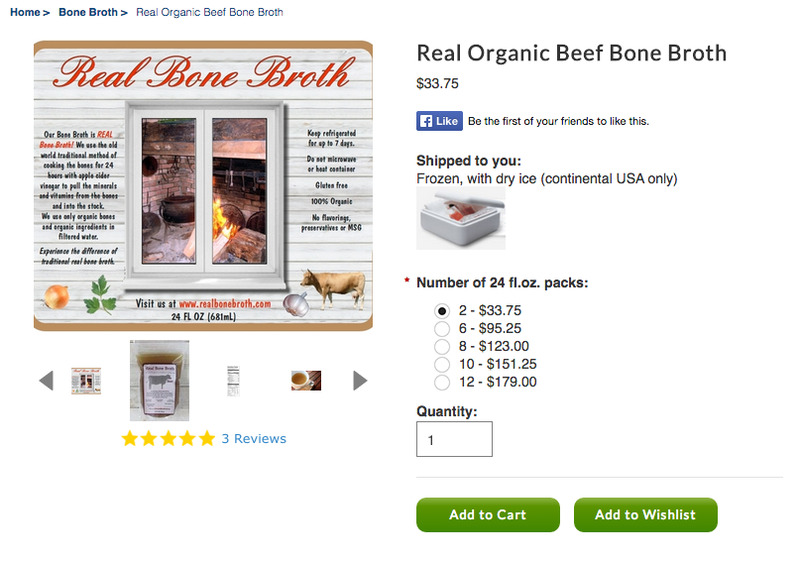 Here’s the thing: all broth (save veggie broth) is made with bones. That’s how you make broth! Broth is also called stock (that was trendy for a few years leading up to 2014). This concept is roughly 20,000 years old. Basically as soon as humans figured out a way to keep boiling water encased in something fire-resistant while cooking, someone also figured out how to put a leftover animal carcass in that boiling water. And there bone broth began. This is one of the best examples I’ve seen recently of The Quaint Economy. The Quaint Economy, as a refresher, is the idea that you can create value by creating a good story about a product. More specifically, it’s usually a story that involves cozy nostalgia for a simpler time. a time before perfect reproductions and cheap commodities. Often, a time before flushing toilets (though artisanal outhouses have not yet become a trend, thank god). But back to the broth. 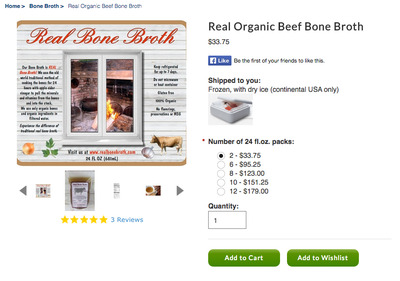 Wise Choice Market, an online store, sells beef bone broth for $US33.75 (you get 2 24 fl. oz. broth packets)*. Wise Choice MarketDon’t call it bone broth unless you also specify that you drink liquid beverages. 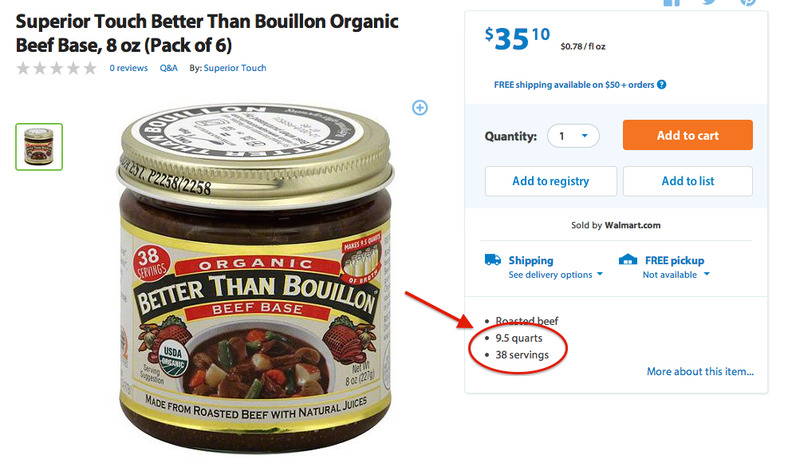 At Walmart, you can get 3.25 oz of beef boullion cubes (makes 25 cups of broth) for $US2. Perhaps a closer parallel is the Superior Touch Better Than Bouillon Organic Beef Base (8 oz, pack of 6) for $US35 at Walmart. That’s the same number of ounces at roughly the same price as the bone broth. Except the Walmart product is concentrated, and actually makes 9.5 quarts of broth. WalmartThis seems like a pretty good broth tbh. It’s hard to tell here what exactly the value is in the “bone broth” rebranding. Obviously using expensive, organic ingredients is going to make the final product more expensive. But how much is the cost of production and how much is a premium charged to be part of a trend story? * Wise Choice Market is a Canadian company with some services based in the US, so these might be Canadian dollar prices? But it seems like it’s American dollars, since the shipping info assumes a US address. The exchange rate today is 1.14 CAD : 1 USD.